SACE is not in support of the Florida Energy Choice ballot amendment initiative. Two reasons for our stand: the likelihood that 6,000 MW of planned solar over the next 5 years could be delayed or cancelled, and the appearance that net metering for solar systems could be eliminated. Recently, Florida staff for the Southern Alliance for Clean Energy and I have been getting a lot of questions about the Florida Energy Choice (FEC) ballot amendment initiative. Our due diligence has lead SACE to conclude that we are not in support of the proposed amendment to bring wholesale and retail markets to Florida. In this blog, I’ll share the two primary reasons we have come to this conclusion: the FEC initiative could cause the delay or cancellation of roughly 6,000 megawatts (MW) of solar over the next five years, and the FEC initiative could eliminate net metering for solar systems, affecting both existing and future distributed solar customers. SACE has researched the potential impacts of the FEC initiative thoroughly, including discussions with the amendment’s proponents and the investor-owned utilities that oppose the effort. We have talked with former regulators and developers from Texas who have direct experience with the restructuring model that the current ballot effort is based. We have spoken with clean energy advocates from other restructured market states. We have also reviewed the findings of the Florida Financial Impact Estimating Conference. We believe that the ballot initiative’s sponsors are well-intentioned, and we welcome constructive debate on reforms in Florida leading to more competition and customer choice for energy. Certainly we are among those who have levied sometimes-fierce criticism of the status quo of electricity in Florida. However, when faced with an up-or-down decision, we are responding to the many requests for clarity on our position. The bottom line is that the investment made by so many of us in the Floridians for Solar Choice coalition is beginning to pay off with a sharp increase in deployed and planned solar. For the first time, the scale of utility commitments are on par with the solar power potential of the Sunshine State. In fact, Florida is moving toward not only becoming a regional leader but a global leader in solar deployment. This is good. The urgency of global climate change demands action now. Putting this solar investment on hold with an uncertain future is not in the best interest of Florida or our planet. Today, Florida has very limited electric power markets. Owners of power generation plants can sell to utilities only in what is called a “bilateral market.” By far the majority of power is generated by utility-owned power plants, so the bilateral market is very small. We do support reforms to expand the power generation market, such as a more competitive solar bidding process. One change we favor is reform of the inefficient Florida Power Plant Siting Act, which effectively caps solar projects at levels below 75 MW. As a result, investor owned utilities have avoided competitive bids and the need determination process on solar projects. Instead, investor owned utilities have financed solar projects directly through a Florida-specific policy called the Solar Base Rate Adjustment (SoBRA), pioneered by FPL. This regulatory concept has jump started utility scale solar development in Florida. Admittedly, SACE has both advocated for policy changes that would make Florida’s power markets more competitive, while endorsing steps by the investor-owned utilities to move solar deployment quickly and to scale. Our “thread the needle” philosophy here is to advocate for deep reform, but in a way that does not derail Florida’s current solar development pipeline. Electric customers also have access to a very small “market.” Increasingly, many Floridians are installing solar and battery storage systems that they own or lease. But this remains a small part of Florida’s energy supply. The proposed ballot amendment would force open the utility power market (creating a “wholesale market”) and give customers choice of electricity suppliers (creating a “retail market”). The meters, wires, storm response, and other similar services would remain the responsibility of local monopoly utilities. What would these changes in the energy market mean? First some background on these markets. Wholesale markets involve transactions for resale, so between generators and utilities in bilateral markets (Florida’s current model) and between generators and utilities or competitive power providers in competitive wholesale markets (the amendment’s end goal). Retail markets involve transactions with the ultimate end user of the power. Under Florida’s current model that must involve the utility (unless an end-user is self-supplying). The amendment would allow competitive power providers to purchase power on the wholesale market and sell it directly to end users. 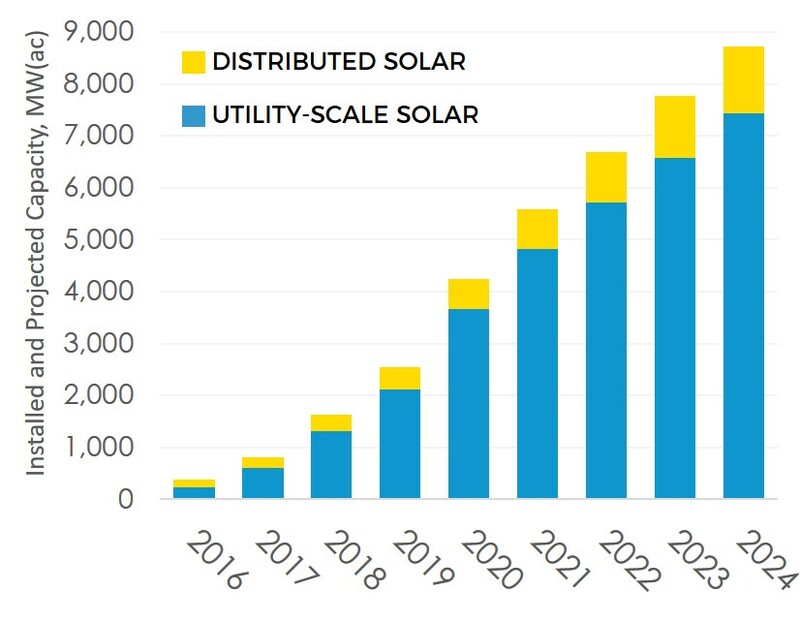 Over the next 5 years (the likely implementation horizon proposed in the ballot measure), Florida’s utilities are planning to install 6.1 gigawatts (1,000 megawatts = 1 gigawatt or GW) of solar throughout the state. This will nearly quadruple the total solar installed in the state to a total of 7.7 GW. Florida Solar Power – Installed and Projected Capacity (MW), 2016-2024. Based on SACE’s forthcoming Annual Solar Report. By 2024, we forecast that solar will provide approximately 10 percent of Florida’s power generation capacity and supply about 5 percent of Florida’s electricity. Beyond 2022, utility commitments could lead to the state crossing the 10 GW threshold by 2026 and the 12 GW threshold by 2028. Finally, the Sunshine State is becoming a leader, both regionally and nationally, in solar growth. There are two reasons these investments are at risk if Florida transitions to a wholesale market. First, we believe that Florida’s utilities could put many of these plans on hold due to the financial uncertainty as the legislature frames implementation of the ballot amendment. At a minimum, this would delay progress, affecting both jobs and Florida’s energy supply. Second, if the amendment passes, the transition to new types of markets would derail many more projects. It could take years for those projects to be renewed under new ownership structures, and in the meantime solar progress could be replaced by new gas-fired power plants. We have no way to know how the Florida legislature would move to implement the current ballot proposal. It is possible, but uncertain, that after the dust settles on the new rules of a restructured market in Florida, independent solar developers could begin to deploy significant solar resources. The scale of this investment is unknowable at the current time. Florida has already emerged as the Southeast’s strongest market for customer-owned rooftop solar. 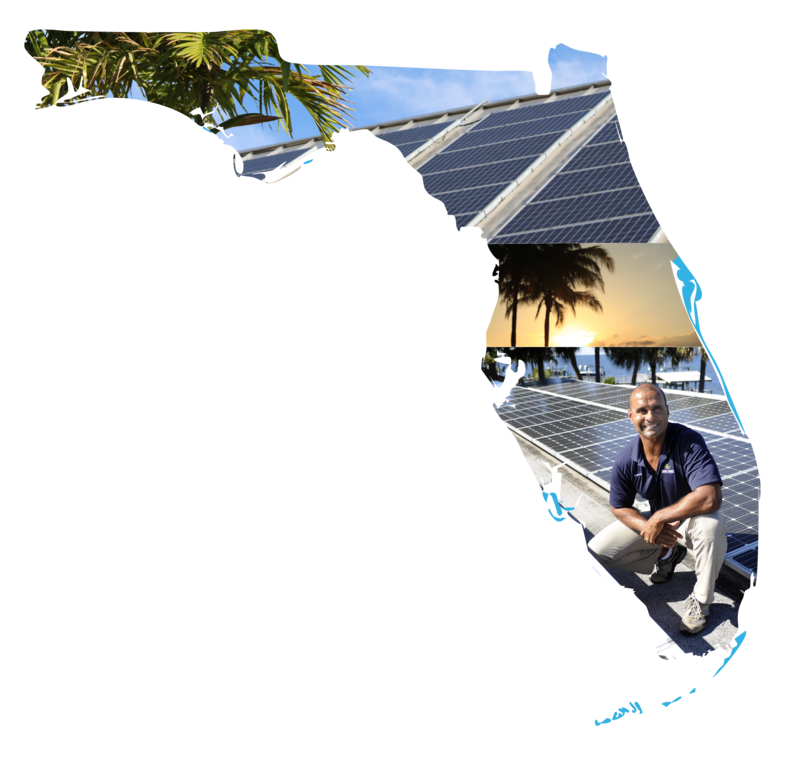 Most Florida electric customers (residential or commercial) have the option to install solar and then get credit for power generated by their solar array. Most of this power is currently valued at the retail electric rate. Current customers in Florida that want to go solar have a fair deal. Under a competitive retail market, Florida law would no longer guarantee net metering. Solar customers would almost certainly get less value for solar power than they do today. Based on what has happened in other retail choice states, we believe net metering would be severely weakened or even eliminated. Coupled with the expiration of the federal investment tax credits for residential rooftop solar, we could see Florida’s distributed solar growth throttled back significantly. Florida’s energy industry has a long and complex history and is far from perfect in its deployment of clean energy resources, but we are seeing a significant uptick in the growth of solar and now storage technology. We have strong concerns these will be at risk. Thus, SACE is not in support of opening up Florida’s energy markets through passage of this particular ballot initiative. SACE will continue to review information as it becomes available to us. We strongly encourage both sides of this emerging debate to bring solid factual information to the public and decision makers, and avoid hyperbolic rhetoric that does little to advance good policy outcomes. We will also be looking at the impact of this ballot effort on other clean energy technologies like storage, energy efficiency and the electrification of the transportation sector in the coming months and will continue to update our analysis.